Why Not Microwave My Honey? is massaging it in long enough. Ten or fifteen seconds, often, won't be enough. Try to have enough so that it takes a good minute to massage it in. I advise to spend at least that long on a hip or larger area of the back. Some people feel a bit of warmth from the capsicum but more often than not the main sensation is a coolness from the Wintergreen. You will definitely smell the Wintergreen as you apply or before, as it comes out of the tube or bottle. It is a natural wintergreen so the smell usually dissipates wishing 5-10 minutes. It is not offensive but with some products the smell can last for hours and get all over clothes and such. Just keep gently massaging it in to the tissues until there is none left to rub in. Use when needed. As pain is different for everyone, relief can be different. 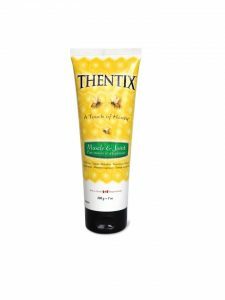 Thentix Muscle & Joint Formula has been used successfully for any kind of muscle pain, arthritic pain, joint pain, headaches as well as a liniment after exercise. We had one customer that found it lessened the pain each time she used it: first time it helped a bit, and by the third use she was getting considerable relief. The ingredients in Thentix Muscle & Joint Formula that are going to help with pain are: Wintergreen, which is an analgesic, it numbs or dulls the pain; Capsicum, from your hot peppers, it has anti-inflammatory properties, helps calm the nerve endings; MSM, a natural sulphur for swelling and inflammation; Tea Tree Oil, known for its healing and pain relief properties; Menthol Crystals, another natural pain reliever. You will read the latin terms on the tube for these ingredients, don't be thrown off - our Muscle & Joint Formula has been certified as 100% natural by Health Canada. You can see the NPN(Natural Product Number) on the tube or bottle. There are some other ingredients that make nice on the skin, such as honey, aloe vera, shea butter and coconut oil. So, you don't have to worry about the product irritating your skin like some pain products on the market. 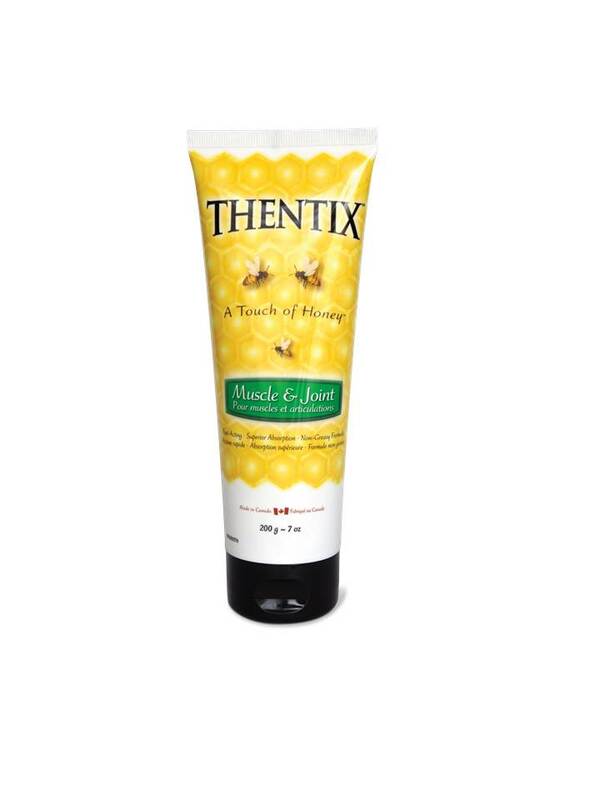 To purchase Thentix Muscle & Joint Formula go here.